Superdry Men’s Ski Racer Henley hooded jumper. Stay warm this season in the Ski Racer Henley hooded jumper, featuring a button fastened collar, a fleece lined hood and an all over knitted design. 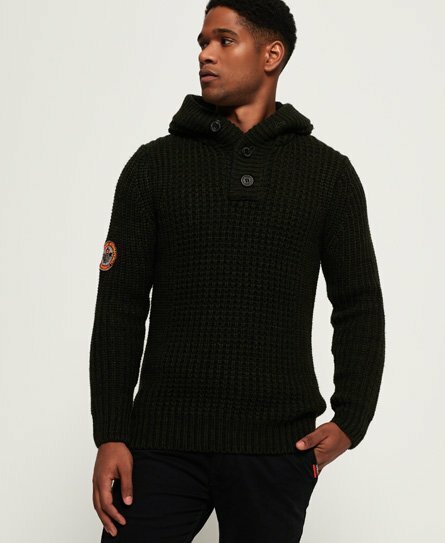 This jumper is finished with a Superdry logo patch on the right sleeve, ribbed cuffs and a ribbed hem.